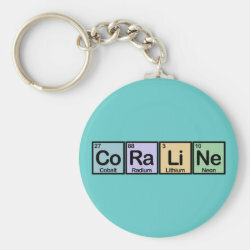 This is a great gift idea for anyone name Coraline! The name is spelled out using colorful squares that represent elements of the periodic table. More... 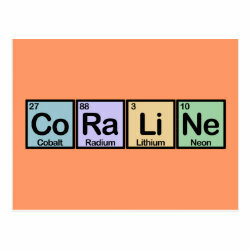 The full name of each element is shown along with its chemical symbol and atomic number. 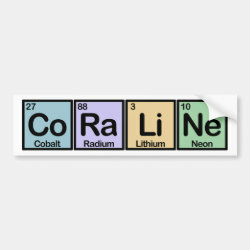 The elements used to spell Coraline are Cobalt, Radium, Lithium, and Neon. 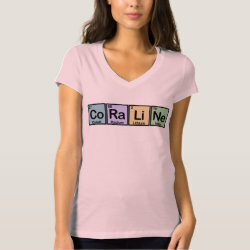 This is a fun gift idea for Coralines that are interested in chemistry or science! 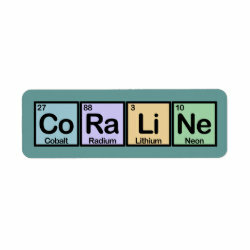 Coraline made of Elements Post-it® Notes 4" x 6"